Where a new or replacement fixed solid fuel appliance is in stalled in dwelling a carbon monoxide alarm must be fitted. In the where the appliance is located. 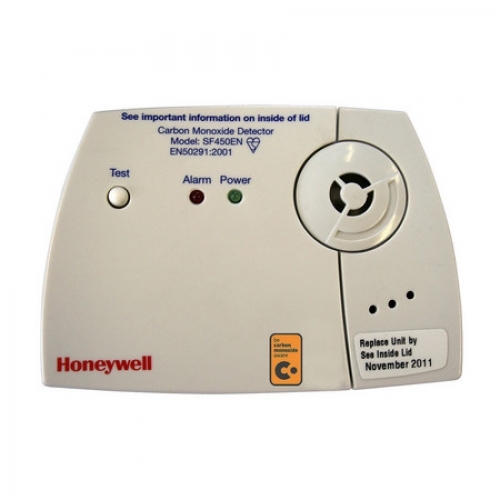 Carbon monoxide alarms should comply with BS EN 50291:2001 and be powered by a battery designed to operate for the working life of the alarm. The alarm should incorporate a warning device to alert users when the working life of the alarm is due to pass. Mains-powered BS EN 50291 type A carbon monoxide alarms with fixed wiring (not plug-in types) may be used as alternative applications provided they are fitted with a sensor failure warning device. The carbon monoxide alarm should be located in the same room as the appliance. Further guidance on the installation of carbon monoxide alarm is available in BS EN 50292:2002 and from the manufactures instructions. Provision of an alarm should not be regarded as a substitute for correct installation and regular servicing.